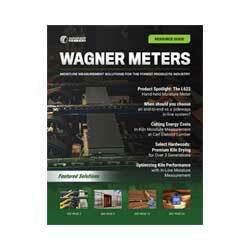 This article was originally published in Concrete Contractor (June/July 2018 issue). For years now, the in situ relative humidity (RH) test for measuring the moisture condition of concrete has been shown to be the most reliable, accurate test available. As far back as the 1960s, laboratories at the Portland Cement Association conducted controlled tests that verified the accuracy of RH testing. This research was followed by years of additional testing at Lund University in Sweden and elsewhere. In 2002, ASTM International first established the F2170 standard for conducting RH tests on concrete slabs. An RH test’s accuracy is dependent on taking a measurement of the moisture below the surface of the slab. The RH percentage at a specific depth indicates the actual amount of moisture that the finished floor product will “see” once the flooring installation is completed. Other methods typically involve taking measurements only at the surface of the slab. As the research has found, a surface-based moisture test can’t provide an accurate measure of a slab’s true moisture condition. That’s because it doesn’t account for the moisture conditions deeper within the slab, and those conditions are typically quite different than conditions at the surface. No other concrete moisture test is as fast or as accurate as the in situ RH test. The initial ASTM F2170 for in situ RH testing was established in 2002, after continuing research at Scandinavian universities in the 1990s identified the exact specifications for conducting a reliably accurate RH test—placing the test probe at 40 percent depth for slabs poured on grade or 20 percent for slabs drying from both sides. After these scientifically-validated specifications were firmly established, ASTM International published a usable standard. Until now, the ASTM F2170 standard has required a 72-hour waiting period between drilling the test holes where the RH probes are placed and taking official RH measurements. In practice, readings are often taken before the 72 hours has passed, so contractors have an idea of how things are trending. But because the official readings couldn’t be taken before 72 hours, that meant all decisions and work were basically on hold for those three days. Full stop. Yet we’ve seen how the research on the RH test method has helped to refine our understanding of how best to use it. This trend continues. In 2014, a Precision and Bias (P&B) study, commissioned by the ASTM committee, tested for differences in RH readings at various intervals within the 72-hour period. In part, the idea was to assess if it is actually necessary to wait the full 72 hours for an accurate, actionable moisture readings. The P&B study results clearly documented that readings taken at the 24-hour mark were statistically equivalent to those taken at the 72-hour mark. They weren’t identical, but the differences were statistically insignificant. So big that the P&B results motivated the ASTM F2170 committee to revise and publish an updated F2170 standard reflecting these new findings. Official RH test results can now be obtained after just 24 hours. Now instead of putting things on hold for three full days while waiting for test results, contractors and flooring installers can take action in a day and be in full compliance with the F2170 standard. 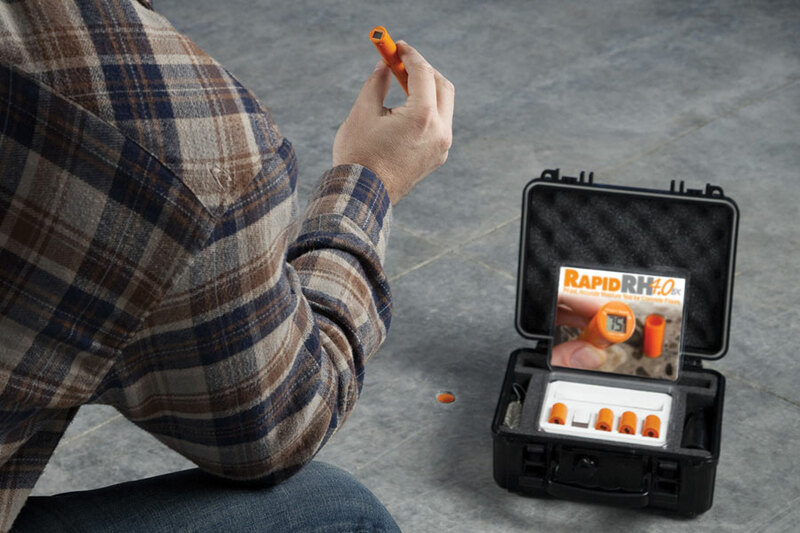 After properly inserting the RH probes into the concrete slab, general contractors and flooring professionals can expect to make decisions on how to move forward in just 24 hours. If the 24-hour reading shows the concrete slab is still retaining too much moisture, mitigation steps can be taken immediately to accelerate the drying process. 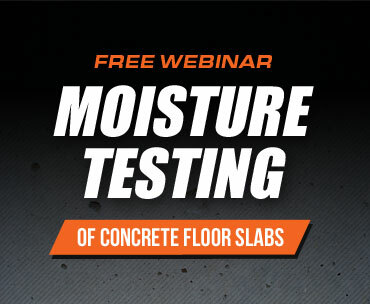 If the 24-hour reading shows that the slab’s moisture condition is within manufacturer specifications for the finished floor products, then the flooring installation can begin right away. Either way, no more sitting on your hands an extra 48 hours to satisfy the ASTM F2170 requirements. 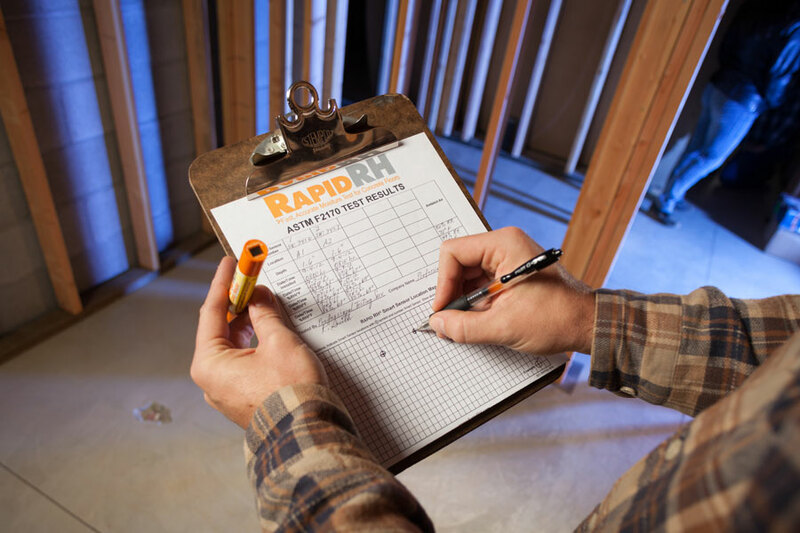 With the updated ASTM standard, contractors can now shave two days off any project schedule, just by ensuring the RH test is specified for the project, No other test method is as fast or as reliable. As we’ve seen, surface-based tests don’t yield reliable results because they don’t take into account the moisture conditions deeper down. The science validating the RH test as the more accurate and reliable test for concrete moisture continues to pile up. 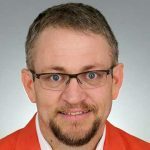 And now, with the updated ASTM F2170 standard reducing the RH test time by a full two days, your project’s timeline can benefit from the science too.